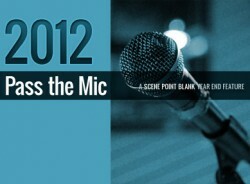 For our first 2012 retrospective, we're passing the mic to record labels and artists to tell us what they thought of the past twelve months in music. 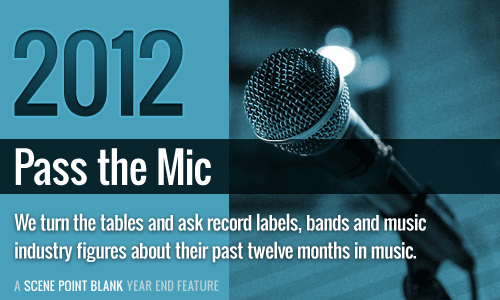 As well as asking about their favourite albums of 2012 and what they're looking forward to for 2013, we also ask bands, artists and labels about their thoughts on Kickstarter and similar enterprises for bands to ditch the traditional funding model. Featuring contributions from bands and performers Paint It Black, Ceremony, Frank Turner, Franz Nicolay, Circle Takes The Square, Sutekh Hexen, Shai Hulud, Teenage Bottlerocket, Mike Park, Nick 13, Tobias Jeg and more. Use the dropdown menu below to page through the feature -- now offering an enormous 74 contributors from around the music world. Words by the SPB team on Jan. 5, 2013, 11:29 p.m.
Posted on Jan. 5, 2013, 11:29 p.m.
Posted Jan. 20, 2013, 7:13 a.m.